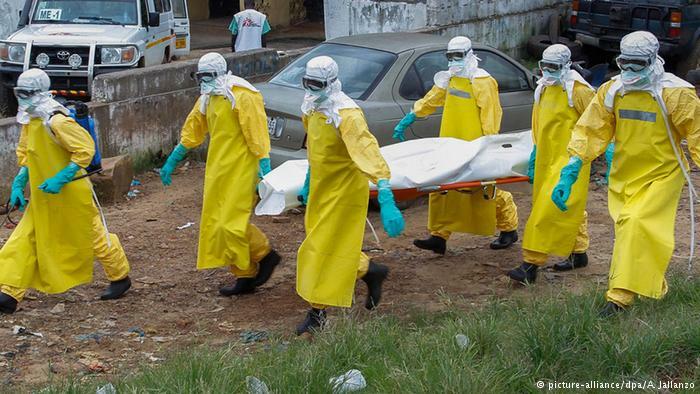 A statement released today by the International Federation of Red Cross and Red Crescent Societies (IFRC) says that one of its health workers in Sierra Leone, died two days ago of the Ebola virus, in the Eastern district of Kenema. The identity of the nurse who is believed to be Sierra Leonean, has not been disclosed. According to the statement, he was confirmed Ebola positive after he had died. But his mysterious death has raised serious questions, as to how a qualified and experienced nurse carrying the Ebola virus, could have escaped detection at the Kenema Red Cross Treatment Centre where he was working. The death of the nurse at the Kenema Ebola Treatment Centre, comes as a shock. The district had up till now succeeded in preventing new cases of Ebola, for the past several weeks. While efforts are being made to ensure that all those who had been in contact with the nurse are quickly traced and quarantined, there are fears of a new breakout of Ebola in Kenema, as risk of transmission grows. “Our thoughts and condolences are with the family and friends of this brave staff member, during this particularly difficult time. We are extremely grateful for his work and dedication to the Red Cross, and to the fight against this deadly disease,” said Elhadj As Sy, Secretary General, IFRC. 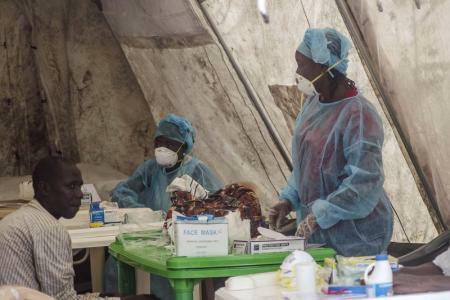 According to statement by the Red Cross, the nurse had passed away on the 13th of January, 2015 and was confirmed positive for Ebola virus disease later that day. The International Federation of Red Cross and Red Crescent Societies says that they are carrying out an investigation, so as to determine how the nurse became infected – whether at home or on the job. The Red Cross has also confirmed that 29 people had had contact with the deceased nurse, and they are currently being monitored for symptoms. The organisation reports that there are 144 Sierra Leonean health workers and 19 foreign staff working at the Kenema Red Cross Treatment Centre, and the death of this nurse is the first for the Red Cross since response operations were launched in April 2014. It said it had treated more than 500 patients, since the centre was opened last September. “The death of a Red Cross staff member underscores how those who respond to the Ebola outbreak are on the front lines of this crisis – risking their health and, in some cases, their life, to assist those who are affected by the disease,” said Mr Sy. “With close to 8,000 confirmed cases of Ebola and more than 3,000 deaths from the virus, Sierra Leone is the country worst affected by the outbreak which has been ravaging West Africa for more than one year. More than 2,200 volunteers from the Sierra Leone Red Cross Society are currently working across the country to control Ebola, raising awareness in communities, tracing contacts, and providing almost 5,000 burials,” says the International Red Cross. In another development, the World Health Organisation today announced that, one year after the first Ebola cases started to surface in Guinea, it will commence the publication of a series of 14 research papers, discussing the reasons why the disease evaded detection for several months and the factors – many of which are specific to West Africa, that fuelled its subsequent spread. WHO says that the publication will trace events in each of the three most severely affected countries – Guinea, Liberia and Sierra Leone. These countries share many common challenges, shaped by geography, culture, and poverty. But each also faced, addressed and sometimes solved some unique problems. Key events are set out chronologically, starting with the child who is believed to be the index case of this epidemic, through to the Director-General’s commitment to steadfastly support affected countries until they reach zero cases. The publication looks back at WHO’s response over the past 12 months, including the 9th August, 2014 declaration of an international health emergency. It documents the many challenges faced by countries and the international community in dealing with the largest, longest, most severe, and most complex Ebola outbreak in history. The contributions of national governments and their many partners are examined, as does the unprecedented human misery caused by a terrible and terrifying disease. The publication looks at how the fast-track development of Ebola vaccines, treatments and rapid diagnostic tests is progressing, with no compromise of safety and efficacy standards; how Senegal, Nigeria and likely Mali managed to contain imported cases and bring their own outbreaks under control; and the state of worldwide vigilance and preparedness, especially in countries targeted by WHO as being at greatest risk of an imported case. But the publication also looks ahead. Based on what was learned in 2014, the key question is: what critical strategies and interventions will give countries and their partners the best chance of bringing the outbreak under control?